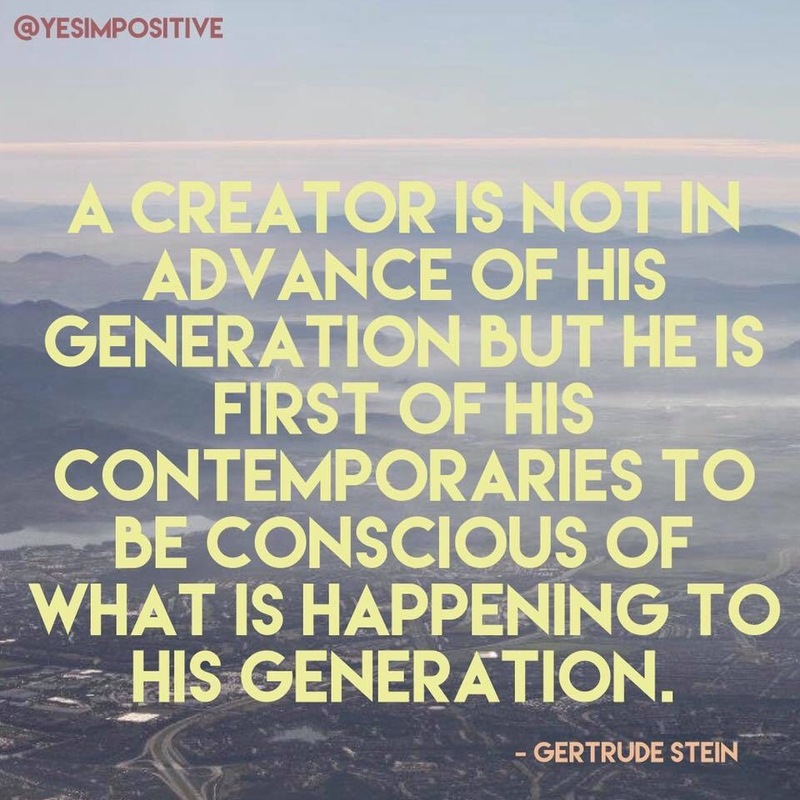 Gertrude Stein wrote this quote about Picasso, but it can be said about all kinds of visionaries. The best way to find out what issues society is dealing with is to see what new plays are about, new novels, new songs. Listen to those that are highly sensitive to every movement and mood of those around them for a glimpse of the near future.